Alhaji Mohammed Muniru Limuna, the Minister of Food and Agriculture, has commended professors and retired senior civil servants in the Upper West Region for embarking on large scale commercial agriculture in the area. He said the academicians and former civil servants are engaging their rural communities in large scale banana and groundnut production and this is a healthy wind of change blowing across the region. 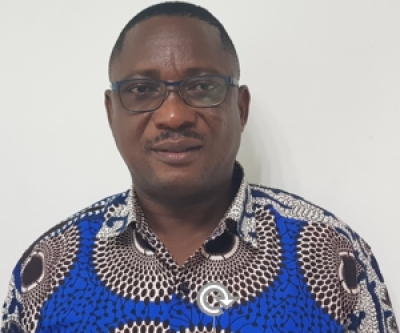 Alhaji Limuna who gave the commendation during a regional sensitisation forum in Wa on the Ghana Agricultural Sector Investment Programme (GASIP), said he is aware that another group is preparing to go into large scale rice production. He appealed to their colleagues to emulate their example to help boost agriculture in the country. “The youth will become encouraged to go into agriculture when they see lawyers, engineers, administrators and politicians go into farming,” he noted. Alhaji Limuna said he was told that one Professor Ziem, a Medical Professor, started the commercial banana production and attracted his colleagues because he makes good money. “Together with his colleagues they have demonstrated the agriculture potential of the Black Volta, “he said. He said another team led by Professor David Millar, Sir Dr Edward Gyeder and Dr Kunfar have embarked on commercial groundnut production at a time production is on the decline in the region. Alhaji Limuna therefore requested the Regional Director of Agriculture to submit profiles of the illustrious pioneers of the initiative for recognition during this year’s National Farmers Day in October. Alhaji Amidu Sulemana, the Upper West Regional Minister, expressed happiness that GASIP had among its components interventions to promote and mainstream climate change resilience. He said this would go a long way to improve the yields of small scale farmers and better their lives and living conditions. Alhaji Sulemana said there are a number of development programmes currently taking place in the region aimed at transforming the agricultural sector in the region including the Development/Expansion of mango plantations under the Export Development and Agricultural Investment Fund, Construction of Feeder Roads/Farm tracks under the Northern Rural Growth Programme. Another is the more than, 1,007 hectares of land being developed for the first time in the Region for rice production under the Rice Sector Support Programme.